The Tria Express clip server is the perfect switcher companion. Meet the artistic demands of live program creation with clips, finished video segments and animated switcher transitions. Effectively integrates with switchers for clip management and clip load functions, as controlled directly from the switcher. Tria Express is built to handle all your media needs. Easily ingest “base-band” media via HD-SDI or SD-SDI video inputs; save on external router costs with built-in input/output audio routing. The Tria Express media file import/export tools provide the widest range of format support of any video production server. This ensures the fastest time-to-air for any content you receive or produce. Inexpensive clip server solution that unites video, key and audio content into a single clip asset. Every Tria Express server is configured with a key channel output for easy import and playback of keying content. Employs a simple interface for clip trimming and naming with comprehensive Playlist creation and playout capability. Includes an “Engineering Setup” application for full server management. Rely on predictable outcomes for your live productions with swappable SSD drives for fast sharing of clip media from one Tria Express server to another. Tria Express servers support a wide range of live production applications with 2 or 3 output channels, and control integration with a wide range of live production switchers—including Ross Acuity and Carbonite series. Interlaced formats such as 1080i are great for traditional over-the-air broadcasters, but aren’t ideal for live venues and web streaming. AVC-Intra supports 1080P progressive-scan content, allowing you to send smooth, high-quality video into your large venue displays and/or internet streams. The AVC-Intra codec provides higher image quality and is much more accommodating to modern file-based workflows, being widely adopted in video editing products such as Adobe Premiere Pro®. This high image quality can be maintained throughout the entire editing workflow, while avoiding time-consuming media file transcoding when importing and exporting content to/from Tria Express. Tria Express supports multiple control protocols, providing tight integration not only with Ross switchers—but also with a broad range of third-party switchers. Many switcher manufacturers have integrated control over Tria Express directly from the switcher’s control panel – which enables advanced features—such as clip library review; clip selection; clip loading; and baseband live recording. This level of integration simplifies your live production workflows, and reduces the possibility of operator errors. When Tria Express channels are connected to a switcher via dedicated RS-422 interface or via Ethernet, the system becomes even more productive. 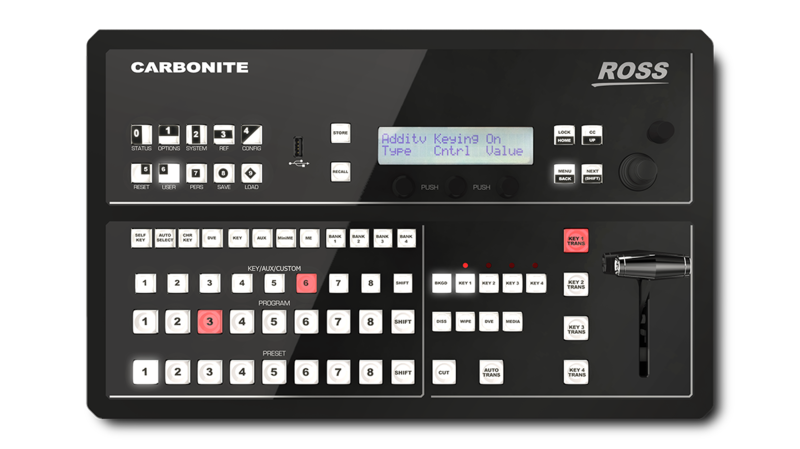 VKA clip playback can be combined with switcher transitions and effects, all controlled directly from the control surface of most switchers. With the most comprehensive interface and fastest response time available, you can rely upon Tria Express in the heat of your live productions.